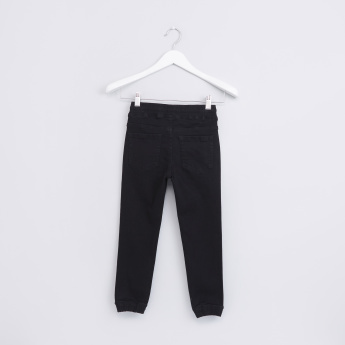 Simple and stylish, these trendy denim jog pants are a fine addition to your kid's clothing collection. 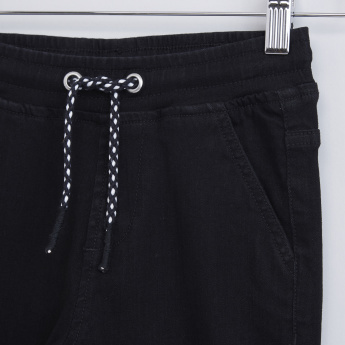 It comes with an elasticised waistband and a drawstring that offers a relaxed fit. 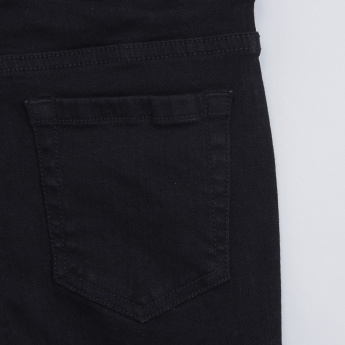 Adding to the utility, the jog pants feature pocket details. Moreover, the premium quality material ensures a comfortable wear all day long.